MTA announces the delivery of a custom dashboard to the IDEAL combine harvesters of the Fendt®, Massey Ferguson® and Challenger® brands, all belonging to the American AGCO Corporation. The dashboard delivered to the OEM is pre-loaded with a basic software developed specifically for AGCO Corporation, then implemented by the Manufacturer itself according to the different operations required for these sophisticated machines. The dashboard is a 3.5” TFT backlit with white LED light, and features an anti-reflection treatment that ensures maximum visibility under direct light. It has a compact size (115.6 x 115.6 x 47 mm) which makes it perfect for integration into the vehicle's armrest and has an IP67 degree of protection suitable for use in agriculture. 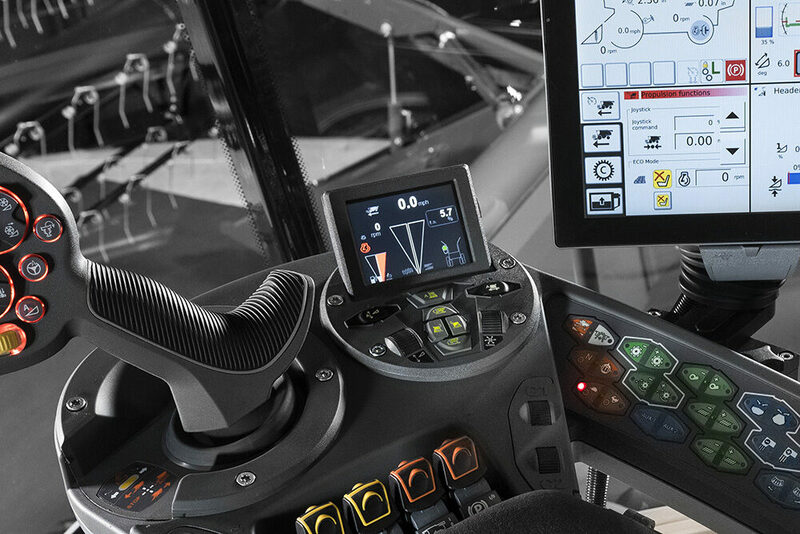 Thanks to the ability to shift the main monitor to the right of the operator, the dashboard allows increased visibility of the field and the cutter bar. In addition, it allows for monitoring the combine's main functions like feed rates, fuel levels, grain tank level, grain discharge speed, rotor speed and performance parameters. The dashboard delivered to AGCO Corporation is developed and manufactured in MTA’s Rolo plant, a site featuring the latest technologies and accredited according to the most stringent and current regulations of automotive sector. Press Release – MTA on IDEAL combine harvesters. MTA designs and manufactures dashboards and displays supplied to agricultural vehicle manufacturers using state-of-the-art design tools and components.